At the end of September, the AIA released “Cities as Lab”, a report stipulating how innovative design can help strengthen modern urban America. Presented during the National Leadership Speaker Series in Washington D.C., it stressed how resilient cities are better suited to address upcoming social, economic, and physical challenges. The report is part of a larger framework looking to guide the international development agenda for decades to come. As a whole, it seeks to fuel the progress of critical sustainable programs around the world. 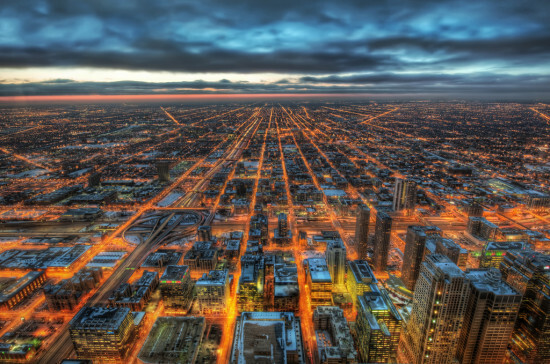 The AIA report states that by incorporating innovative design and technology within their internal structure, cities would have the power to lead the way toward the future. Urban enclaves are being reconfigured in order to respond to changing realities and contemporary human and economic needs. Some of the key examples stated in the report include the Boston Innovation District, North Carolina's Research Triangle Plan, and the Downtown Project in Las Vegas. These programs focus on a series of urban experiments seeking to promote knowledge exchange and economic opportunities, to develop new technological hubs, to mitigate the ecological footprint through sustainable design, and to introduce new architectural archetypes in order to foster creative place-making. All of these ideas are critical linchpins for visionary and sustainable planning. In its concluding remarks, the report indicates that intelligent design and wise policy choices help create places that are suited to meet the needs of future populations, to respond to economic challenges, and to manage natural disasters. The general idea is to create more resilient communities and sustainable infrastructures that will be able to sustain future economic and physical challenges. The initiative focuses on ways to create more valuable, healthy, secure and sustainable built environments by exploring solutions to pressing issues that urban enclaves are faced with. Recent economic figures from the Architecture Billings Index (ABI) revealed that summer finished on a high note with a significant rise in the demand for design services. The ABI score for the month of August jumped more than a full point from July climbing up to 53.8 from 52.7 (any score above 50 indicates positive growth). AIA Chief Economist, Kermit Baker, sees positive growth for the industry, but remains cautious about the future. “As business conditions at architecture firms have improved eleven out of the past twelve months, it is fair to say that the design professions are in a recovery mode,” Baker said. “This upturn signals an impending turnaround in nonresidential construction activity, but a key component to maintaining this momentum is the ability of businesses to obtain financing for real estate projects, and for a resolution to the federal government budget and debt ceiling impasse.” All three regions except for the South experienced an upswing in billings. Numbers for the West (54.8) rose sharply by more than three points from July. The Midwest also made considerable improvement, jumping from 50.8 the previous month to 52.8 in August. The Northeast (54.4) remained steady, increasing by just a smidgen. The South (51.9), however, didn't fare as well falling by more than two points. All in all, the different sectors came out strong. The numbers for mixed practice indicated strong progress, surging from 56.9 to 60.1 in August. Commercial/Industrial (54.8) and Institutional (50.8) sectors remain in good shape, whereas, multi-family residential dropped down to 52.1 from 53.3 in July. Even as the ABI score shows signs of improvement in the industry, unfortunately, the project inquiries tumbled from 66.4 in July to 63.0 in August. 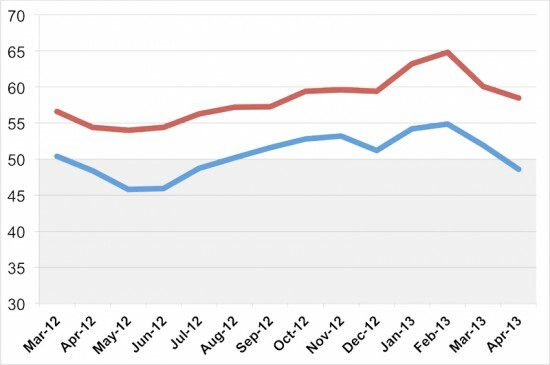 Summer isn't slowing the demand for design services, according to the AIA's latest economic figures. In fact, numbers are on the rise. The AIA's Architecture Billings Index (ABI) for July increased more than a full point spike in non-residential construction activity from June's ABI score of 51.6 to 52.7 (any score above 50 indicates positive growth). Most notably, the new projects inquiry index produced positive results with a substantial increase from 62.6 the previous month to 66.7 in July. While numbers lapsed in most regions in July, the Midwest came out strong climbing to 50.8 from 48.3 in June. The Northeast fell more than a point from 55.6 in June to 54.3. The West slipped ever-so-slightly from 51.2 to 51.1. And the South dropped to 54.2. Mixed practice was the only sector to pull through and show significant progress shooting up more than four points to 56.9 in July. The other industry sectors experienced a small decline: commercial / industrial (54.2), multi-family residential (53.3), institutional (50.6). “There continues to be encouraging signs that the design and construction industry continues to improve,” said AIA Chief Economist, Kermit Baker, in a statement. “But we also hear a wide mix of business conditions all over the country, ranging from outstanding and booming to slowly improving to flat. In fact, plenty of architecture firms are reporting very weak business conditions as well, so it is premature to declare the entire sector has entered an expansion phase.” In spite of the industry's promising growth, the same positive trend has not been reflected in the compensation for architecture positions. AIA published its recent compensation survey, revealing minimal change in salaries since the recession in 2008. "Between 2011 and 2013, average total compensation for architecture positions—including base salary, overtime, bonuses, and incentive compensation—increased only slightly over one percent per year, barely more than the average increase in compensation between 2008 and 2011, when the construction sector was still in steep decline," the report read. The winners of AIA Chicago’s Small Project Awards are on display through August 22 at 23 E. Madison St. “Not everyone needs a skyscraper,” reads the awards program’s tagline. 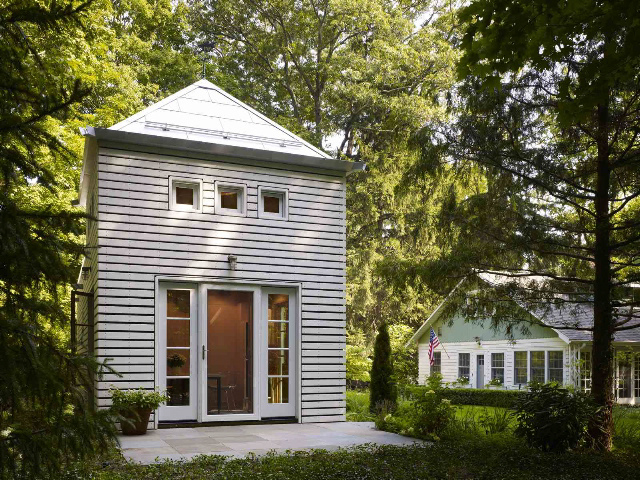 The third annual Small Firm/Small Project Awards recognize quality in small Chicago architectural firms (nine or fewer licensed architects and interns) and small local projects. Projects were honored in four categories: Additions/Remodeling, Kitchens, New Construction, and Small Objects. Numbers are staying strong. 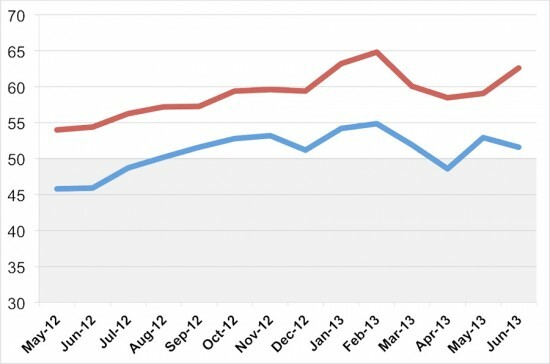 AIA's Architecture Billing Index for the month of June has revealed steady, but positive growth. 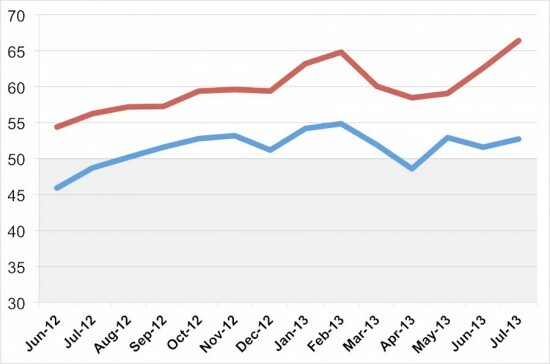 The June ABI score of 51.6 reflected only a slight drop from May's score of 52.9, and still indicates a general upswing for the non-residential construction industry. More projects will likely be on the horizon. 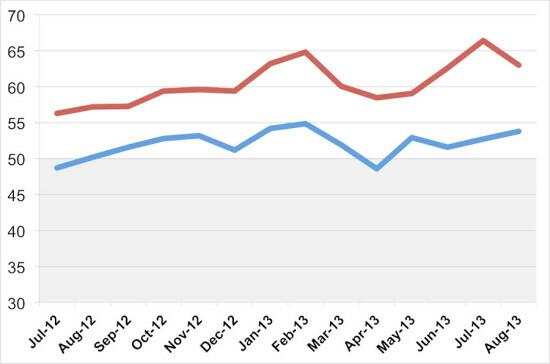 The new projects inquiry index reported a significant climb in numbers to 62.6 from 59.1 the previous month. 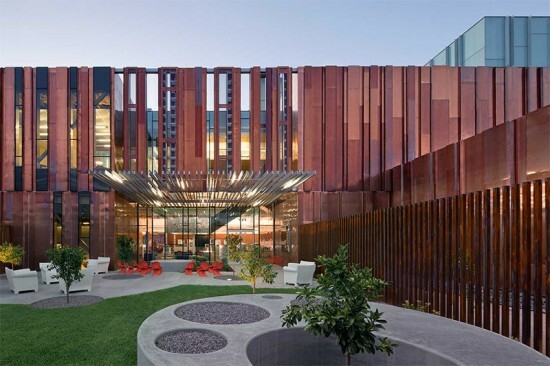 “With steady demand for design work in all major nonresidential building categories, the construction sector seems to be stabilizing,” said AIA Chief Economist, Kermit Baker, in a statement. “Threats to a sustained recovery include construction costs and labor availability, inability to access financing for real estate projects, and possible adverse effects in the coming months from sequestration and the looming federal debt ceiling debate.” Across the country, the numbers were generally up with the exception of the West, which experienced a slight dip to 51.2 from 52.1 in May. It was, however, a particularly robust month for the Northeast which came out with a score of 55.6. The South also finished strong with an uptick to 54.8 from 50.9 last month in June. And even the Midwest saw progress with a score of 48.3. All sectors remain on solid footing but institutional has slowed down a smidgen: commercial / industrial (54.7), multi-family residential (54.0), mixed practice (52.4), institutional (51.8). Between keynote sessions, awards presentations, and interviews at the American Institute of Architects' (AIA) National 2013 Convention, AN's editors joined 20,000 attending architects in the search for the newest and most innovative products on the floor of the Colorado Convention Center's exposition hall. Following are a few notable discoveries. SureClad Porcelain Stone Crossville The Tennessee-based supplier of interior ceramics has partnered with Shackerley, a British manufacturer of porcelain ventilated facade systems, for an exterior cladding solution that meets U.S. building codes, including all seismic and hurricane standards. The system (pictured above) is supported by an aluminum frame and is delivered to job sites as a prefabricated system to ensure fast and efficient installation. SunGuard Neutral 78/65 Guardian Industries Developed to passively retain heat in colder climates, Neutral 78/65's low-E coating facilitates high visible light and a neutral color. It can be used in double- or triple-glazed units and can also be combined with any of SunGuard's other low-E coatings. AA5450 Series OptiQ Window Kawneer The new series in the OptiQ line of windows maintains thermal continuity and reduces energy transmission in both single and double hung constructions thanks to a polyamide thermal break. The 4-and-5/8-inch aluminum frame maintains a minimal profile and can be outfitted with 1-inch double pane or 1-and-1/2-inch triple pane insulated glass. OptiQ Windows are also available with expanded configurations. Benchmark Facade Systems Kingspan A fully integrated line of ventilated exterior cladding debuted at AIA 2013 and is now available from Kingspan. The company supplies a complete system of metal rails, insulated panels with a Bayer-developed polyurethane, and fastening solutions. The cladding is available in aluminum composite material (ACM), metal composite material (MCM), plate, high pressure laminate (HPL), ceramic granite, terra cotta, and thin brick, and comes in a broad range of colors. 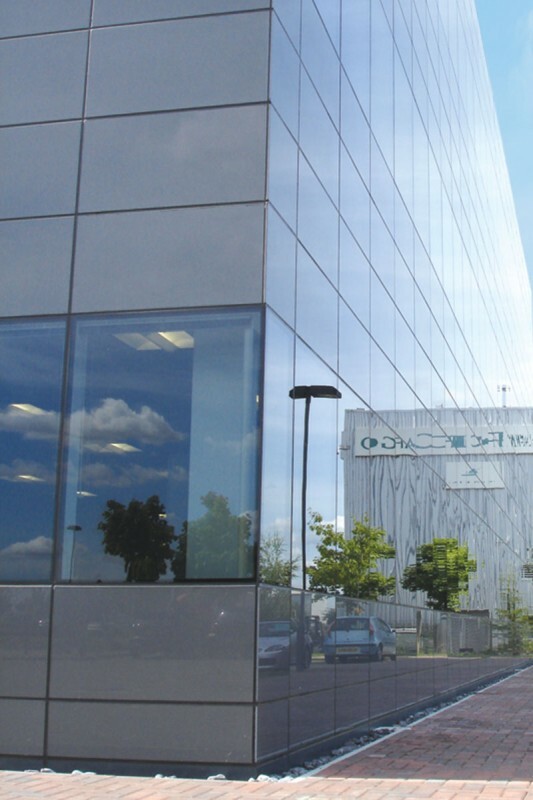 YUW 750 XTH Unitized Wall System YKK Hurricane and impact mitigating glazing for low- to mid-rise commercial buildings can be applied to multi-span curtain and single-span ribbon walls with YKK's latest addition to its ProTek portfolio. The new wall system can be specified with visible exterior face covers, a four-sided structural silicone glaze, or in a combination of both. It also boasts U-factors as low as .30. The AIA Gold Medal Award is the highest honor an architect can receive from the American Institute of Architects. Until now, the award could only be presented to individual architects, but the AIA has just announced that as of January 1, 2014 this prestigious award will be open to an individual or two individuals who have equally collaborated on the design and execution of one distinguished architectural body of work that makes a lasting statement on the theory and practice of architecture. The revision was prompted by the recent controversial campaign, led by a group of passionate young women architects, to retroactively confer the Pritzker Architecture Prize to Denise Scott Brown. 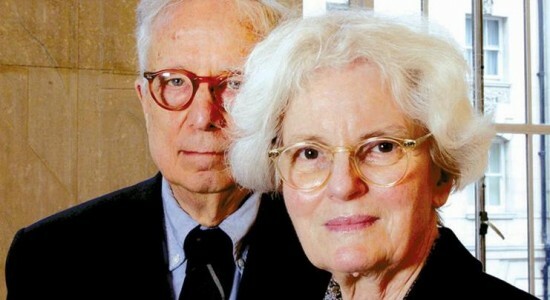 Twenty-two years ago the architect was excluded from the award when it was granted to her husband and equal partner, Robert Venturi, in 1999. The Pritzker jury has refused to revisit it’s decision, denying Denise Scott Brown the award. In reference to the AIA's recent revisions to the criteria for the Gold Medal Award, AIA President, Mickey Jacob said in a press release, “This is an idea that has been percolating for several years and we feel that the decision to make this important and historic change better reflects the changing nature of architectural practice that has become increasingly more collaborative. We took a careful, measured approach to the implications that this decision will have on the award itself and we are confident that this is a positive change for the architecture profession going forward.” In the past the AIA Gold Medal has been bestowed upon world-renowned architects such as Louis Sullivan (1944), Frank Gehry (1999), Steven Holl (2012), and this year, to Thom Mayne. This year's Gold Medalist has been recognized for his outstanding designs for projects such as 41 Cooper Square in New York City, The San Francisco Federal Building, and the Giant Group Campus in Shanghai. So far, however, a woman has yet to receive the distinction. 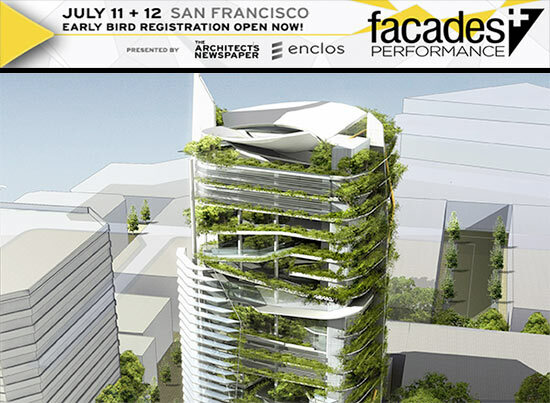 The San Francisco Facades+ Performance conference is exactly one month away! Join the conversation and rake in up to 8 AIA LU credits per day at the conference, presented by AN and enclos, July 11 to 12, 2013. An abundance of good information, networking opportunities, and hands-on workshops are on the agenda, so don’t miss the chance to attend this year’s invaluable two-day event. The symposium on Day 1 consists of exciting presentations and discussion-based panels that investigate the ever more fast-paced development of facade technology, tackle new-fangled viewpoints on building skins, and discover ground-breaking, sustainable design practices. 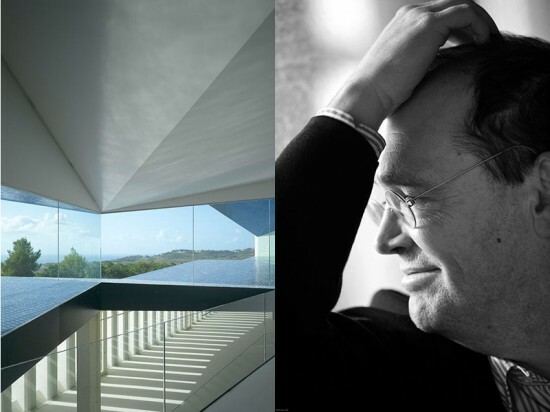 Ken Yeang of Hamzah & Yeang will present the morning Keynote Address, Eco-Architecture: Living Facades and Architecture and Gary Handel of Handel Architects will give the afternoon Keynote Address, Glass Without Guilt. Dialog and Tech Workshops form Day 2, which offers a rare chance to participate in comprehensive conversations with renowned design professionals in a small seminar-style setting. Participants have the opportunity to customize their specific programs to cater to their individual professional goals and interests by choosing half-day workshops from morning and afternoon sessions. Participants may also select one of six daylong workshops in which they will work closely with industry professionals on hands-on projects to build indispensable skills essential in utilizing revolutionary facade technologies. Speaker highlights include Edward Peck of Thornton Tomasetti, Claire Mazfield of Atelier Ten, and David Frey of SOM among other exceptional panelists. Take a look at the agenda and register today – Early Bird registration ends this Friday, June 14. This week, AN accompanied members of the American Institute of Architects NY Chapter and AIA New Jersey on a boat tour of the Passaic River to examine the impact of Hurricane Sandy on the city of Newark and to discuss recovery efforts ranging from design solutions for rebuilding to resiliency strategies. Newark, like other parts of the Tri-state area, was hit particularly hard by the super storm and will serve as a point of discussion at the Post-Sandy Regional Working Group's workshop on July 9th with urban planners, developers, stakeholders, and architects from New York, New Jersey, Connecticut, and Rhode Island. 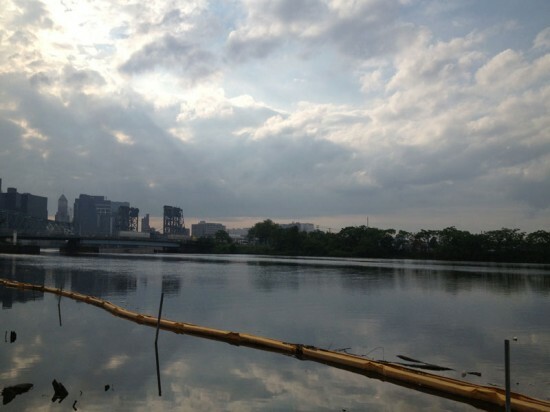 This expedition along the Newark waterfront will help inform the larger conversation about resiliency that has been spearheaded by the American Institute of Architects New York Chapter (AIANY) and the AIANY’s Design for Risk and Reconstruction Committee (DfRR), which has culminated into the Post-Sandy Initiative. Underscoring the fragility of the economic recovery, the April AIA's Architecture Billings Index dipped into negative territory for the first time in nine months. The slump to 48.6 was significant, down from 51.9 in March (any score above 50 indicates positive growth). “Project approval delays are having an adverse effect on the design and construction industry, but again and again we are hearing that it is extremely difficult to obtain financing to move forward on real estate projects,” said AIA Chief Economist, Kermit Baker, in a statement. “There are other challenges that have prevented a broader recovery that we will examine in the coming months if this negative trajectory continues. However, given that inquiries for new projects continue to be strong, we’re hopeful that this is just a short-term dip.” Regional indexes reversed recent trends with the South leading at 52.6 followed by the West at 50.7. The Midwest slid into negative billings at 49.4, while the East dragged down the overall average with an index of 48.2. By sector, multi-family residential remained strong at 52.0, while institutional work hovered in positive territory at 50.1. Commercial/industrial (49.2) and mixed-practice (48.6) slumped. The inquiry index, for possible new projects, remained robust at 58.5.